The Maxeys Make it to Bermuda! 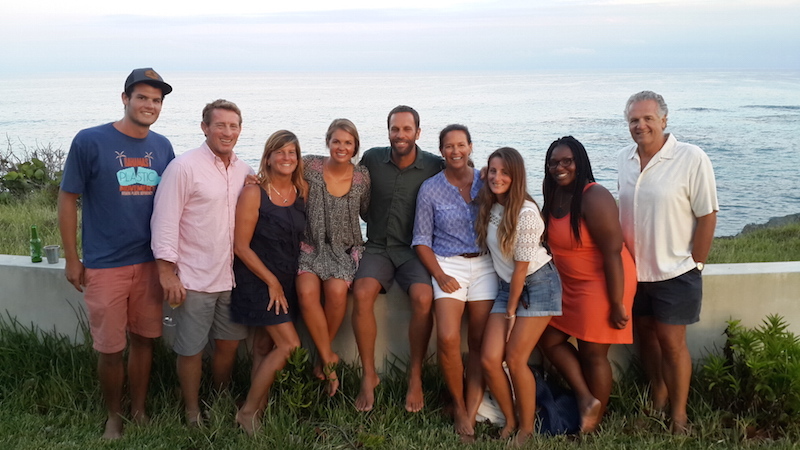 Following the SEA Change Youth Summit held at The Island School June 5-7, Chris & Pam Maxey and their crew made up of Brittney Maxey, Mike Cortina (CSD sustainability teacher and F’02 alumnus), Kelly Duggan (S’11), Sam Kosoff (former IS teacher and Lawrenceville Dir. of Sustainability) and Georgie Burruss (CEI researcher) sailed from Cape Eleuthera, The Bahamas to Bermuda on their boat, Kokomo, sailing alongside 5 Gyres and Jack Johnson, who were aboard The Mystic. Also on board the Mystic for the leg from Eleuthera to Bermuda was Island School alumna, Aly Boyce (F’10) and now her brother, IS alumnus James Boyce (F’12), will board the Mystic for the next leg. Kokomo and Mystic left the Cape Eleuthera Resort & Marina in the afternoon of Tuesday June 9th and arrived in Bermuda coastal waters in the early morning of Sunday June 14th. 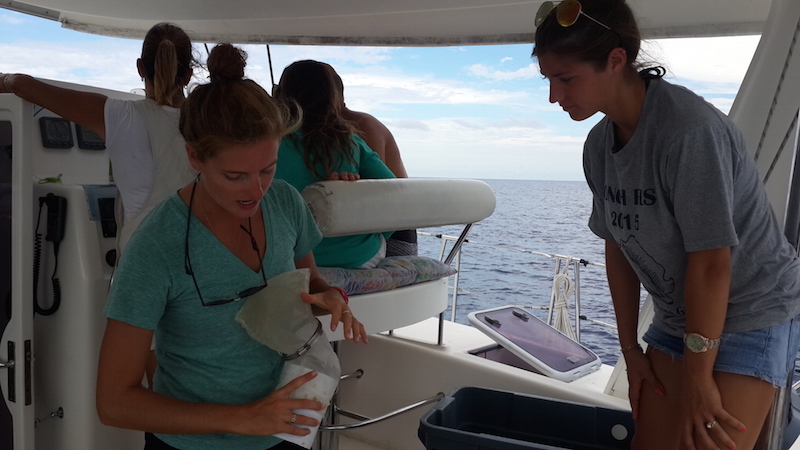 Along the way, both the Kokomo and the Mystic conducted citizen science: trawling for plastic pollution in the ocean. Spring 2011 Island School alumna, Kelly Duggan (right) who was also aboard the Kokomo with the Maxeys, helps CEI researcher, Georgie Burruss (left) set up the first trawl. Upon arrival in Bermuda, the sailboat caravan was welcomed by the educational officer at Bermuda Institute of Ocean Sciences (BIOS), JP Skinner who lives in nearby Paget Parish. Last night, they had the opportunity to visit BIOS and check out the amazing work going on there. The rest of their time on Bermuda has been spent exploring the town of St. Georges and the nearby beaches with the team aboard the Mystic. Tomorrow, the Kokomo and the Mystic embark on the next left of their trip, bound for the east coast of the United States. They will be sailing together for the first few days until the Mystic splits to make its way towards New York City and the Kokomo heads towards the Chesapeake Bay. We wish all the sailors a safe passage and calm seas!